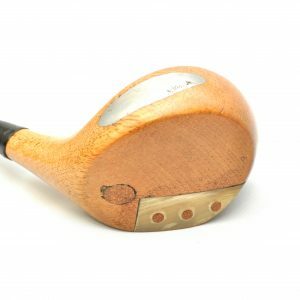 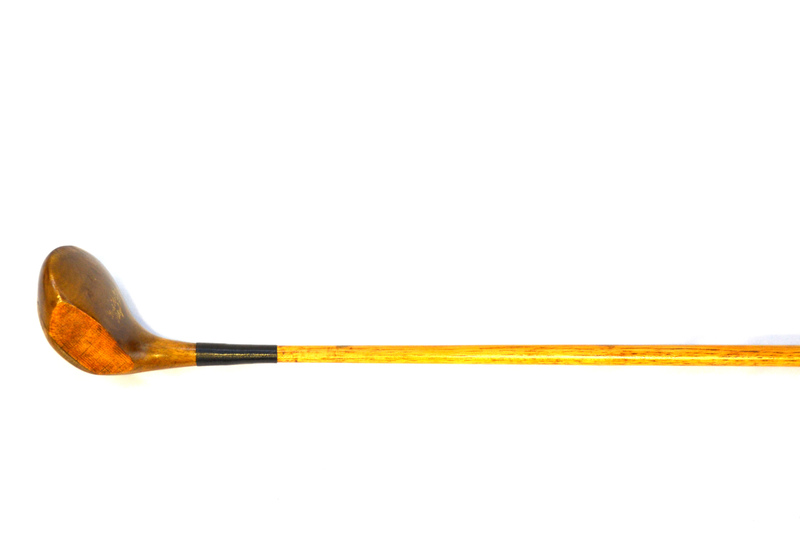 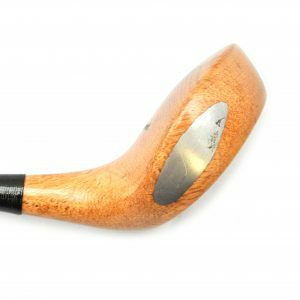 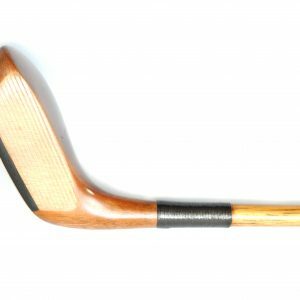 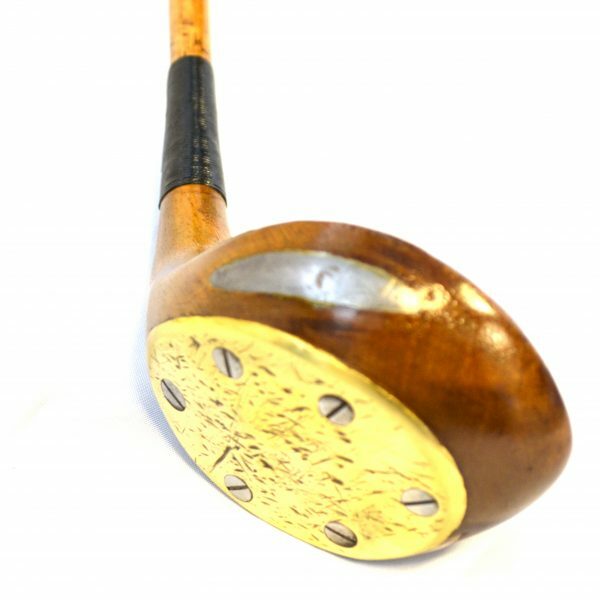 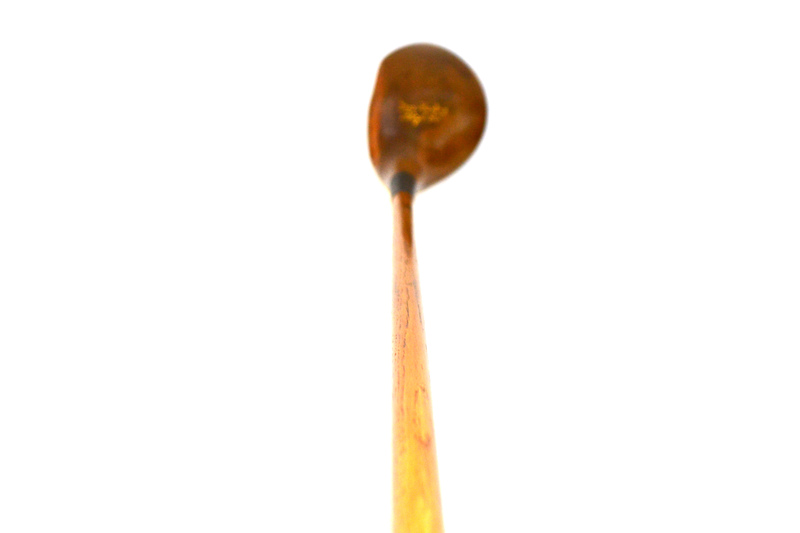 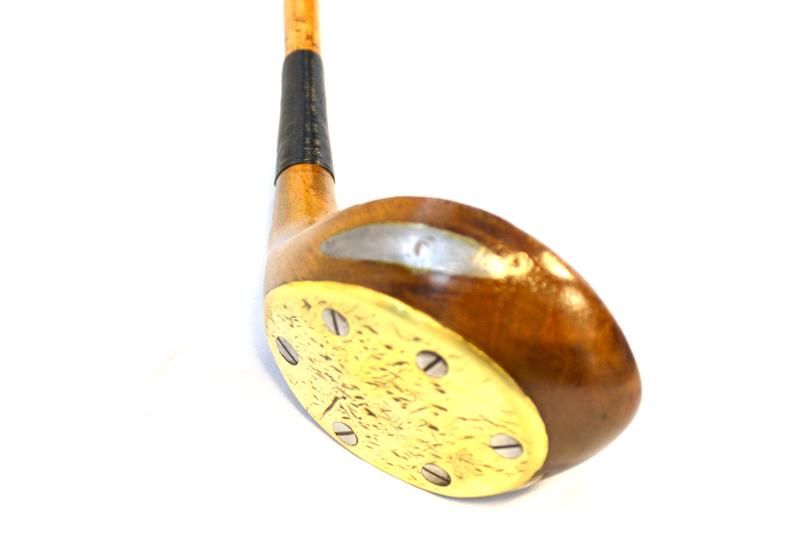 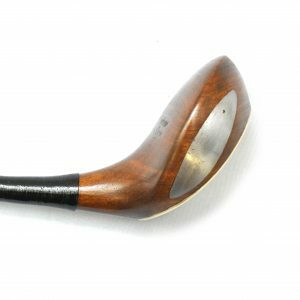 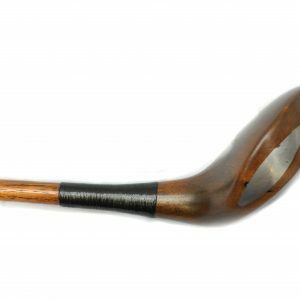 This club is of an unknown maker, with a socket head and has been finished in a Rosewood Stain across the crown is stamped Fred Herling, Rhyl G.C. 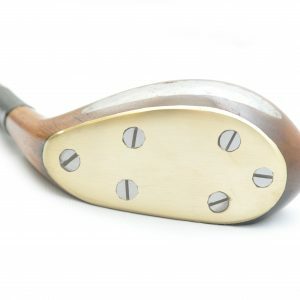 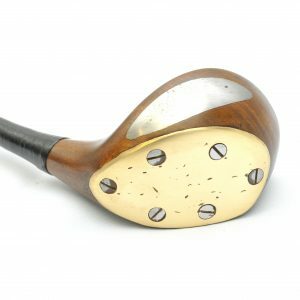 with a Full Brass Wrap around sole plate which is fixed with 6 Steel screws, the Lead back weight is securely in position, the face lines have been re-cut and has a Rams Horn insert at the leading edge.This Club is in good playable condition with a new Grip and Wax coated thread use for the whipping then finished with Shellac to protect it from any bag damage that may occur. 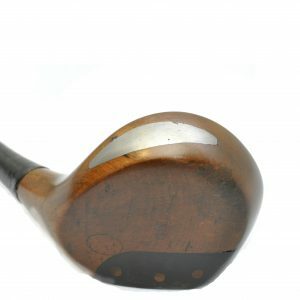 Please note: All our Clubs have been fully restored by a professional restorer of Hickory Golf Clubs. 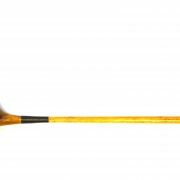 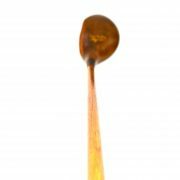 it/they may arrive with a Tarnish Guard to protect it from the damp air which will allow it to rust, and should be replaced after cleaning.